After publishing Opera Mini 7.1 modded version for Airtel free Internet, we are now with Opera Mini 4.4 Airtel mod. 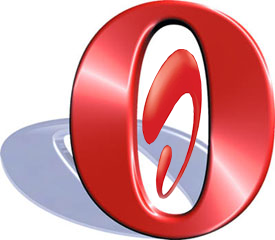 Opera Mini 4 series are the most popular Mobile browser on the Internet. That's why we are decided to mod it before UC Browser. This version has good performance and stability compared to previous versions. Also, since RAM and disk usage is low for this opera, is is supported by most of the mobile phones. Some low memory phones like nokia 2630 willnot support Opera mini 7. 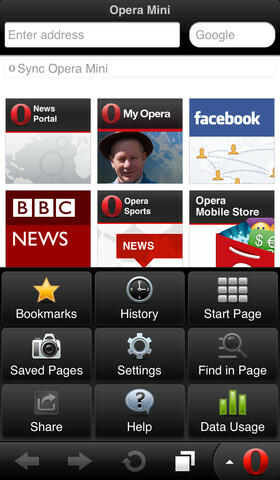 Also, Opera 4 has simple UI and therefore, quick accessible. Just read the instructions below to install and configure Opera Mini for free Internet in Airtel. I have explained everything in detail in that post. So, no need to explain it again. After Downloading, transfer it to yout phone and install it. This Proxy settings can be only used with Opera Mini hack provided by Hackingpalace only. It will not work with UC Browser or any other app. This Opera Will work only if you setup the proxy. It will not work if you just downloaded and installed modded opera mini. This Opera has a limited download support only. You can download some files, some cannot. It depends on the server and the file. If still you cannot download any files with this Opera Mini, read this post: How to fix downloading error in Opera Mini, UC etc. If you are using 3G, and your daily usage on hacked browser exceeds 300MB, your speed will be capped into 2G. Even if you have 3G data balance and this hacked browser uses more than 300MB in a day, you can use the remaining balance only in 2G. If you are using 2G and your daily balance exceeds 300MB, there is a chance that you will be banned with this trick. So, this hacked browser willnot work for many days for you. Hope it will be unblocked a later time after many days.